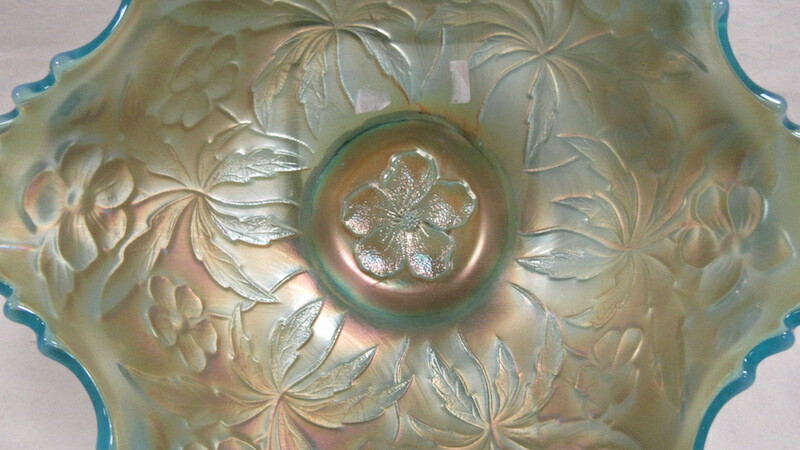 Don't confuse Carolina Dogwood with a similar-looking pattern by Dugan called Dogwood Sprays. 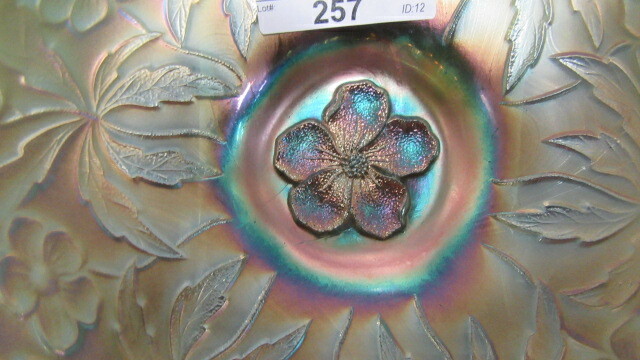 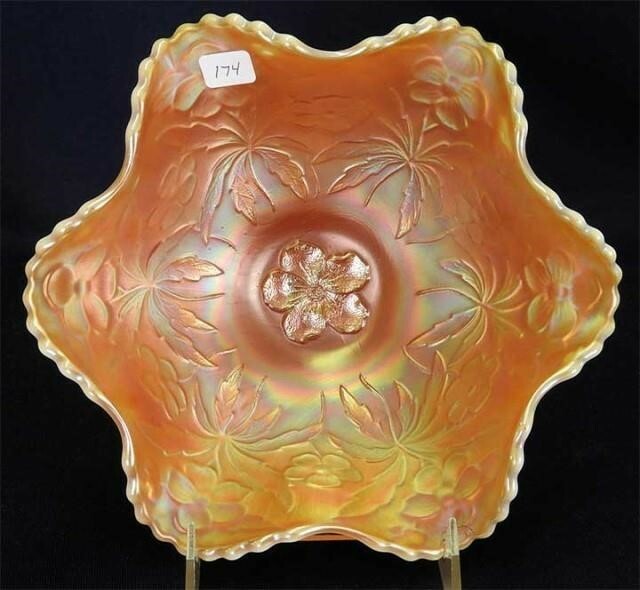 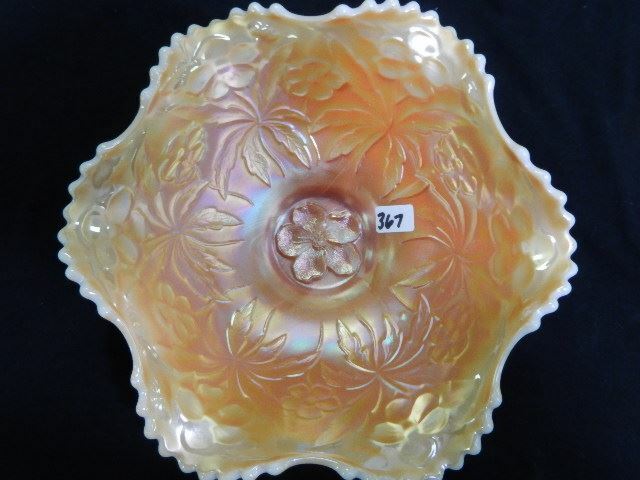 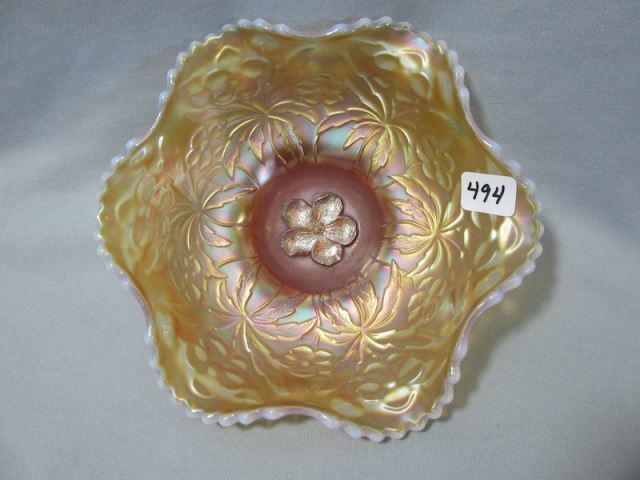 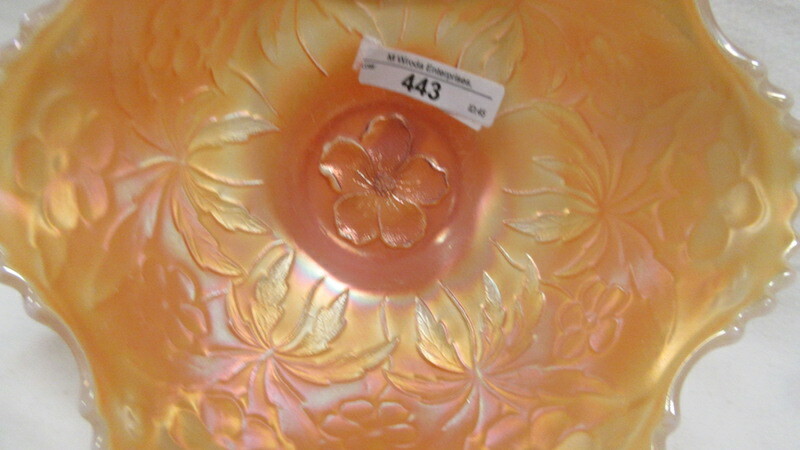 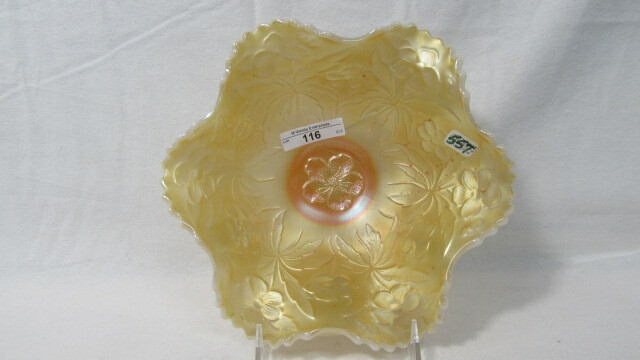 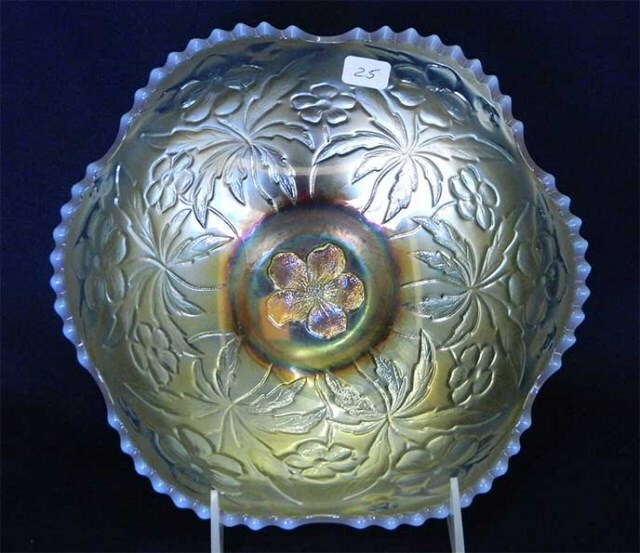 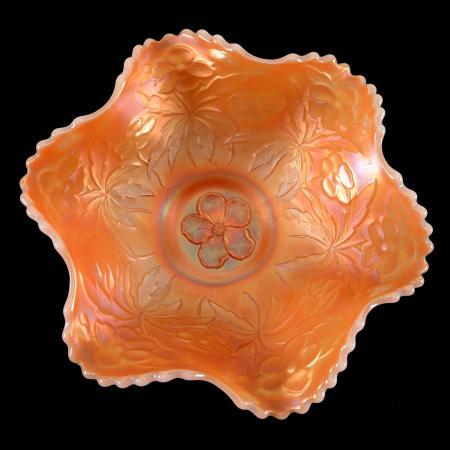 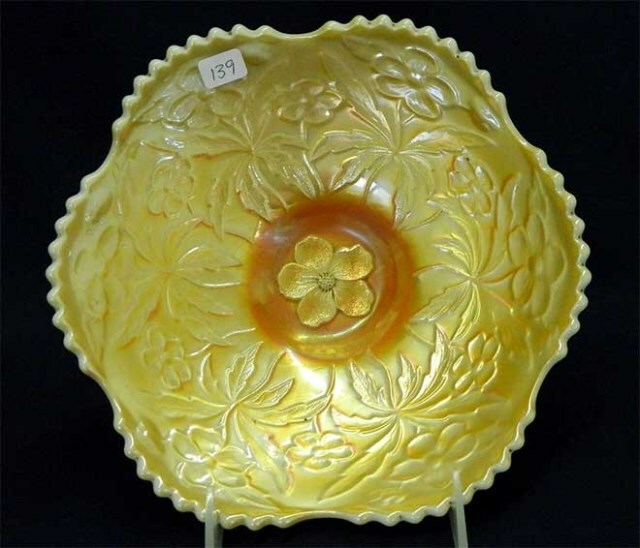 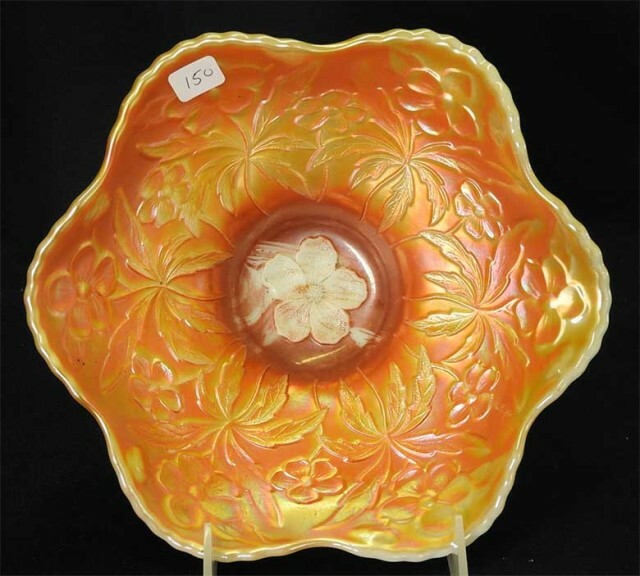 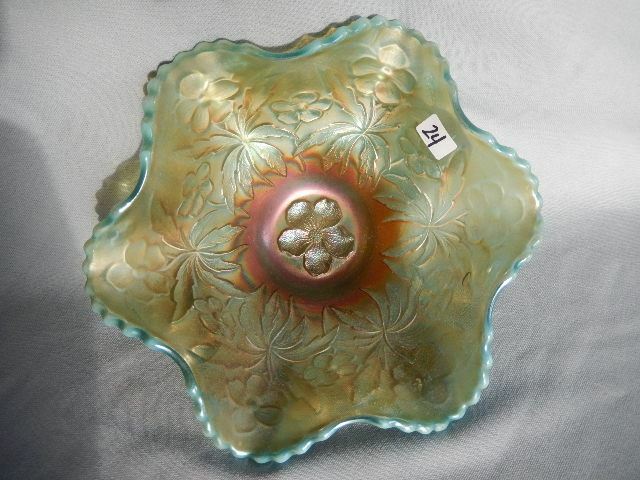 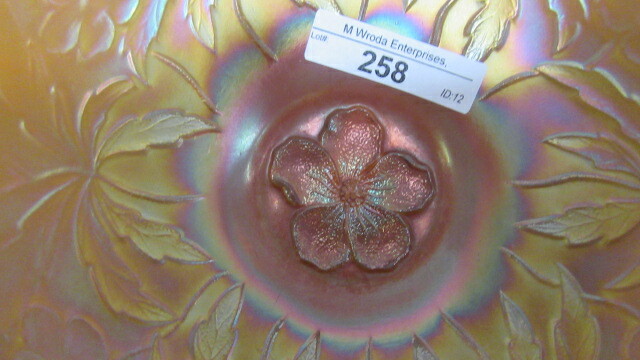 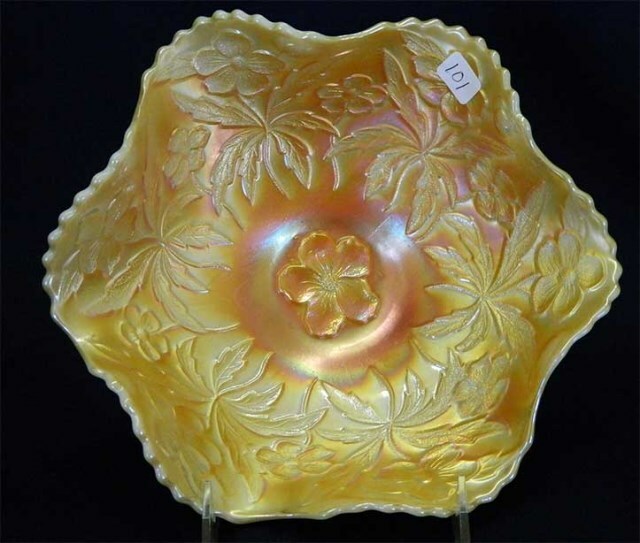 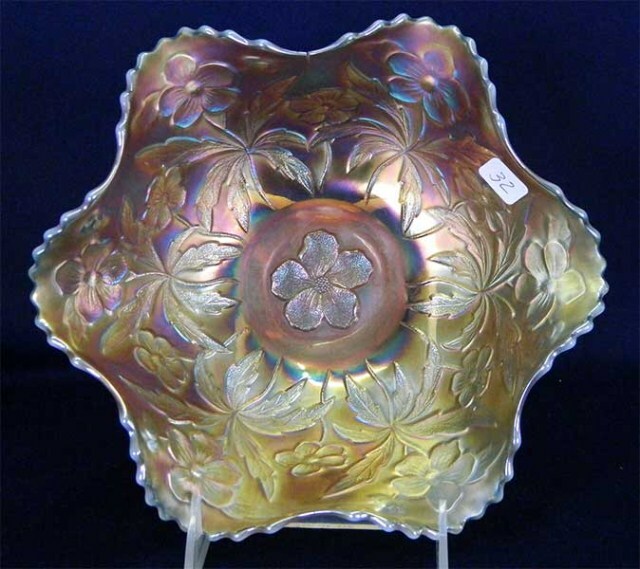 This one has an overall design of petals and leaves punctuated by the five-petal flower in the center. 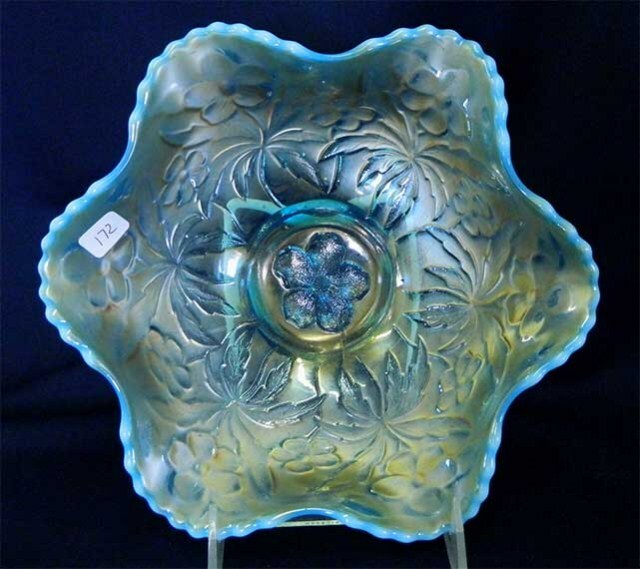 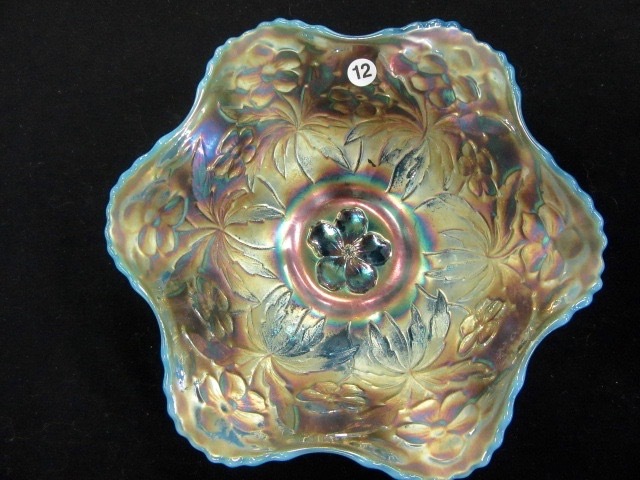 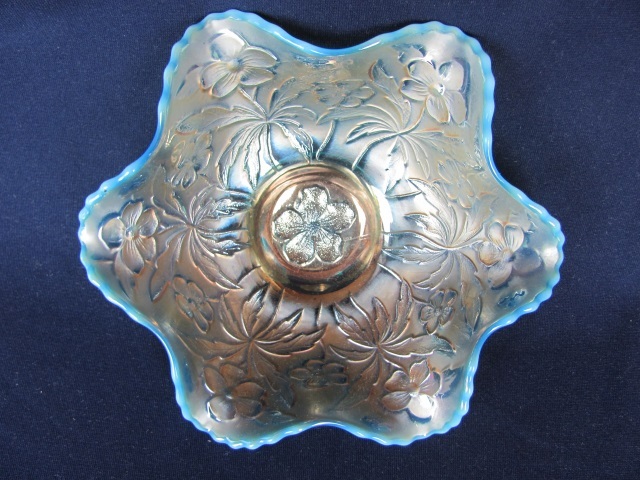 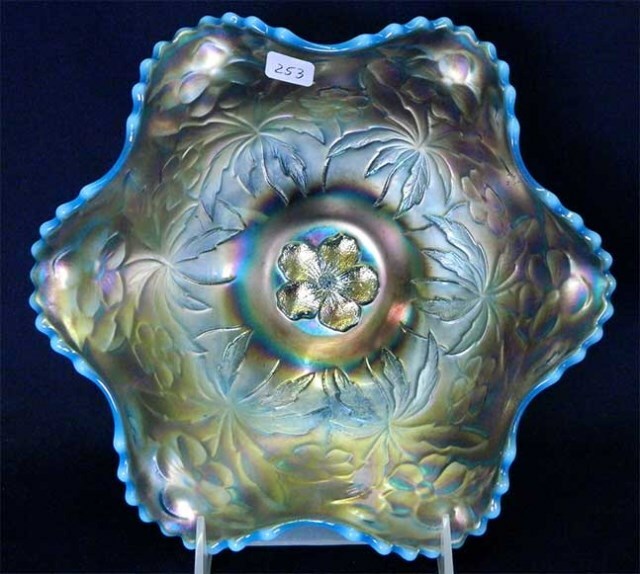 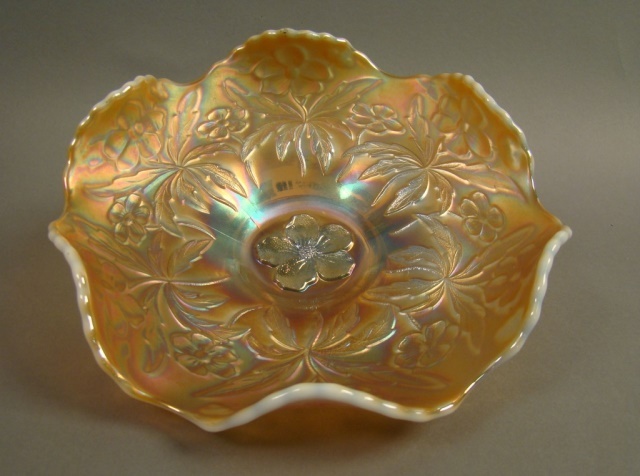 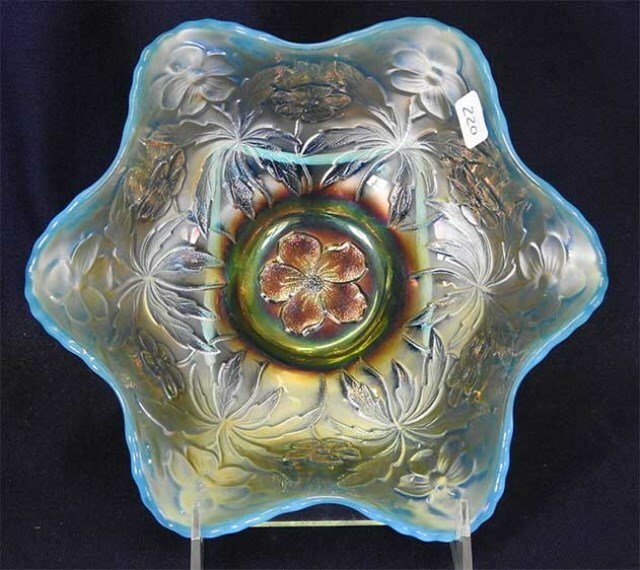 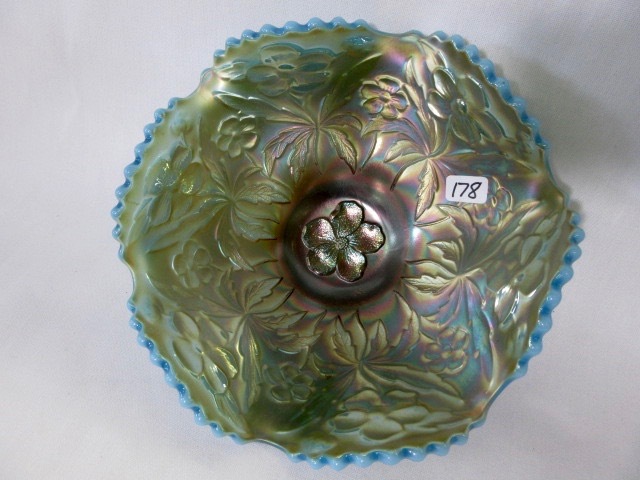 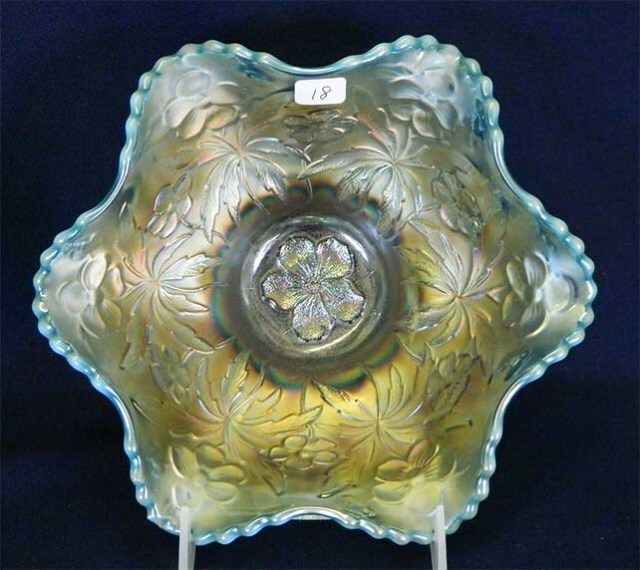 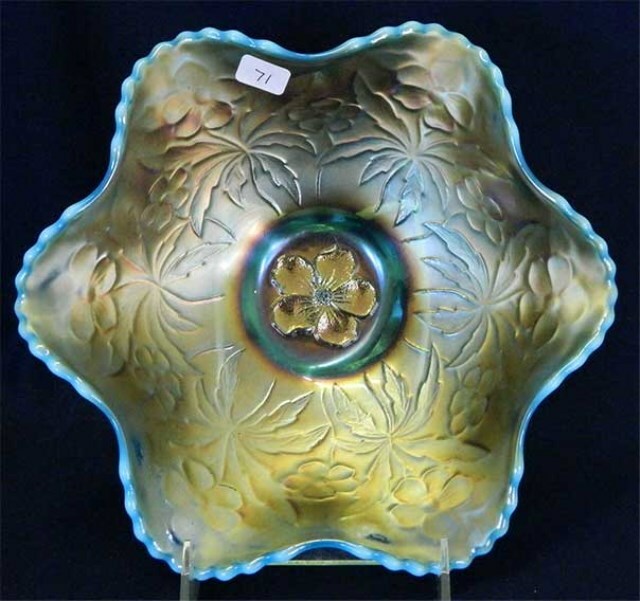 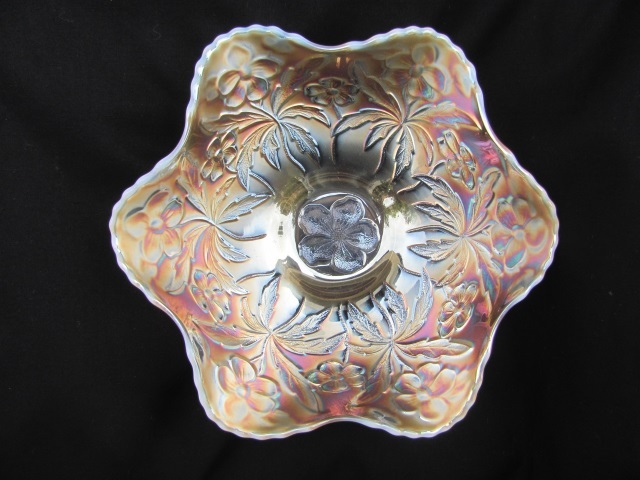 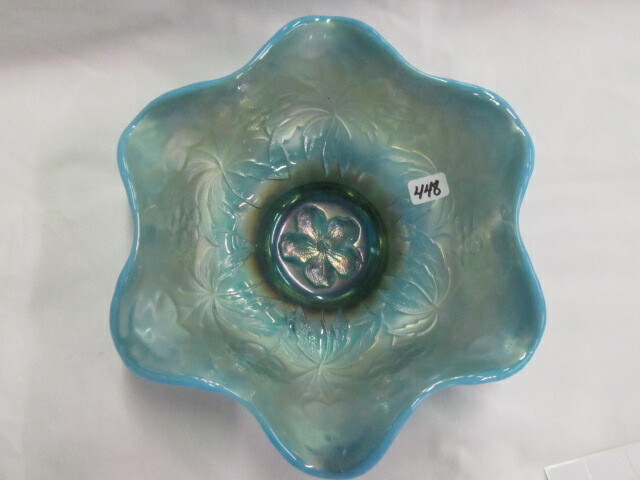 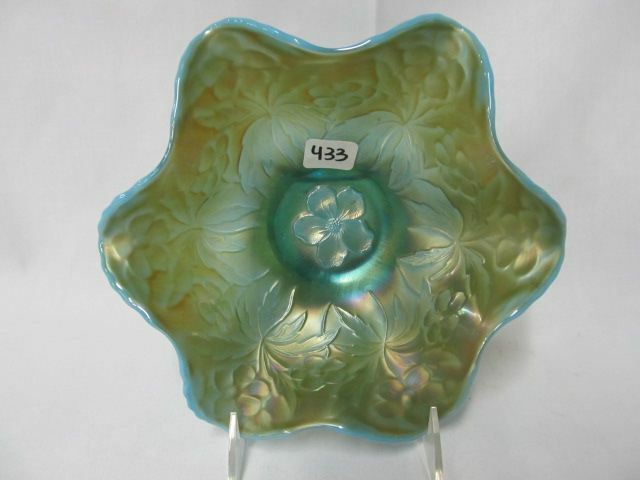 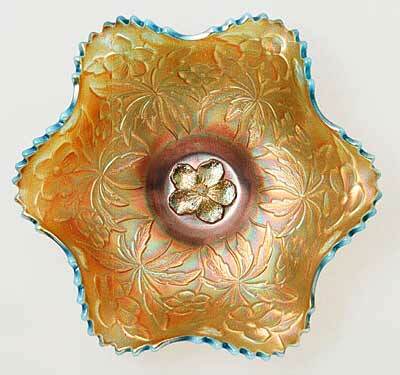 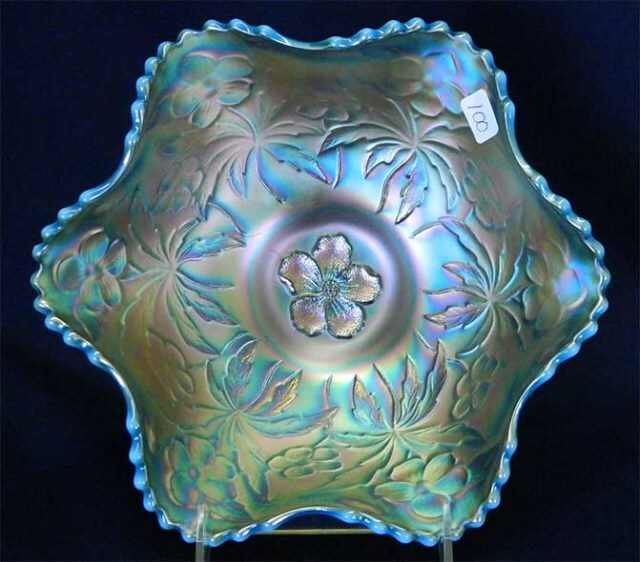 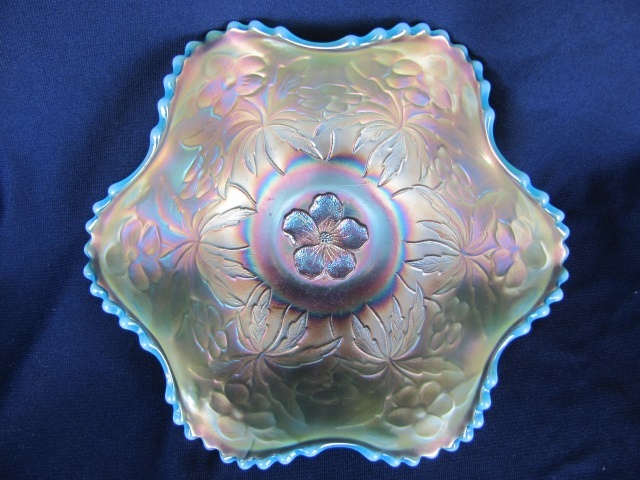 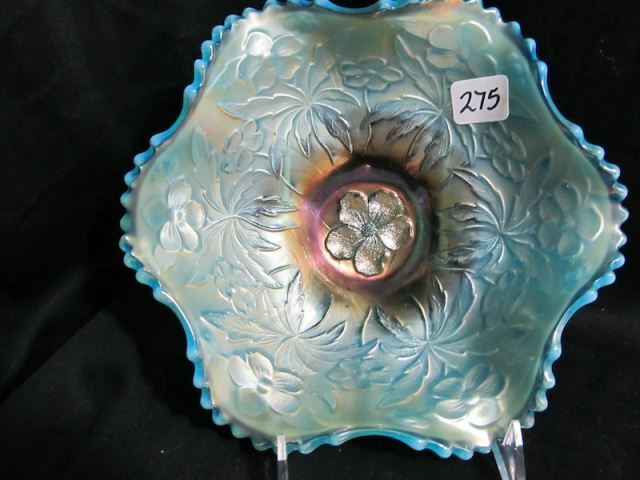 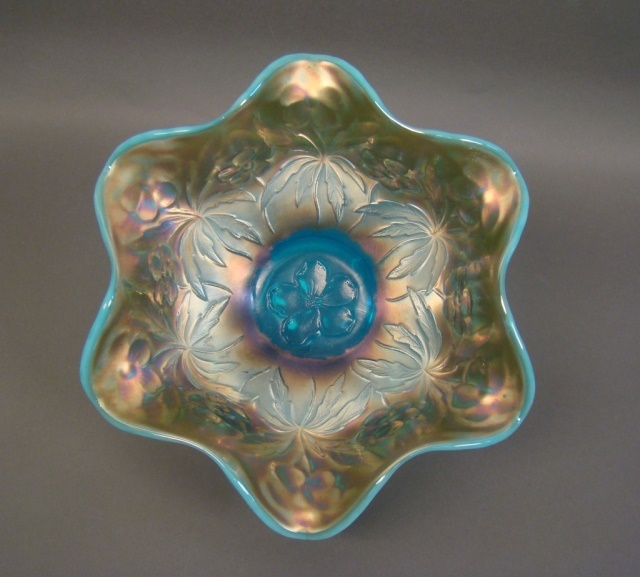 Above is a blue opal ruffled bowl. 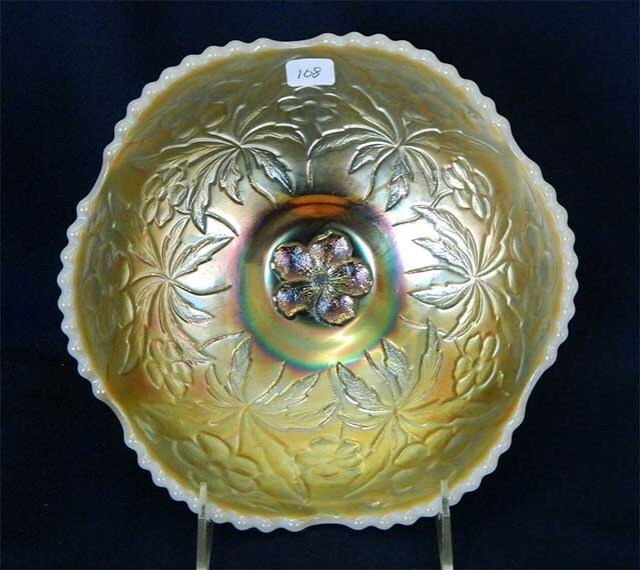 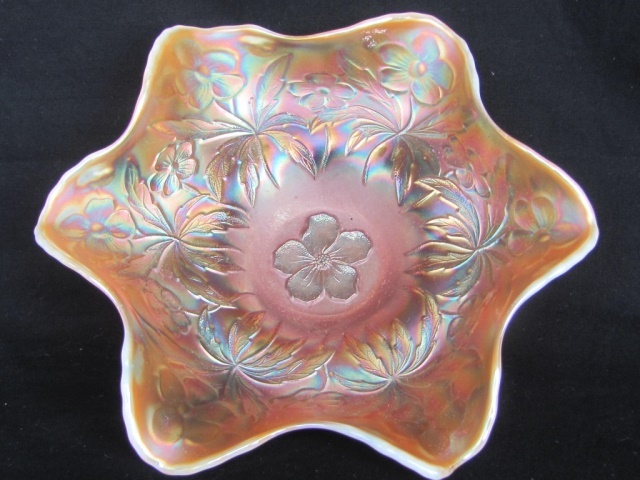 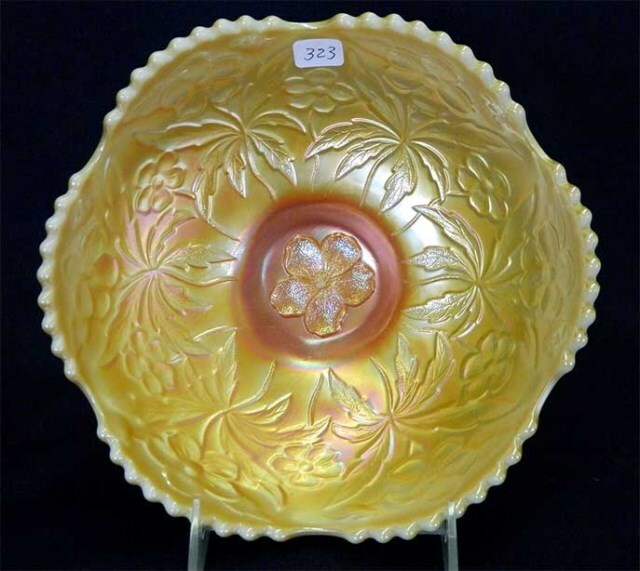 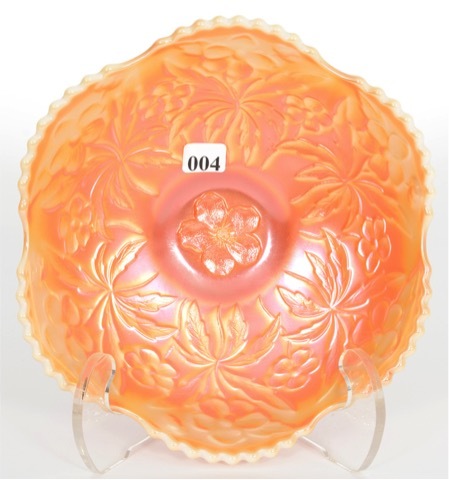 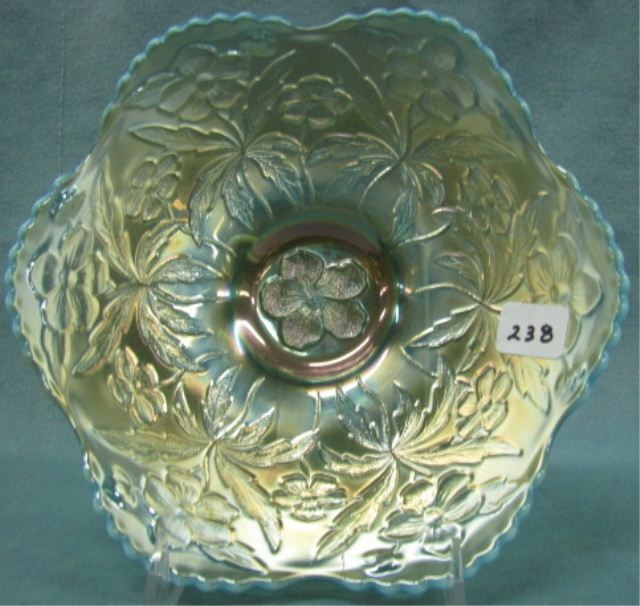 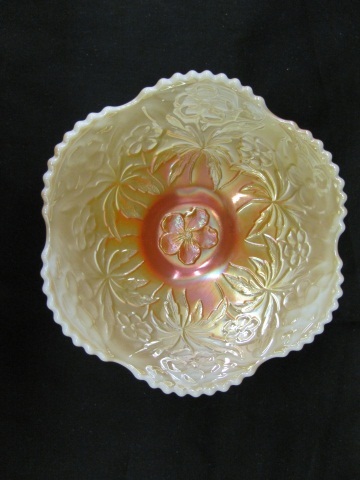 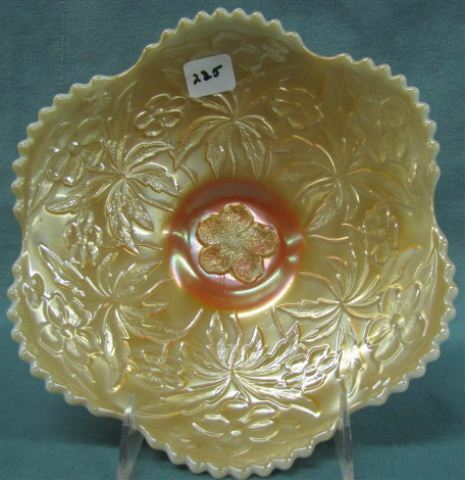 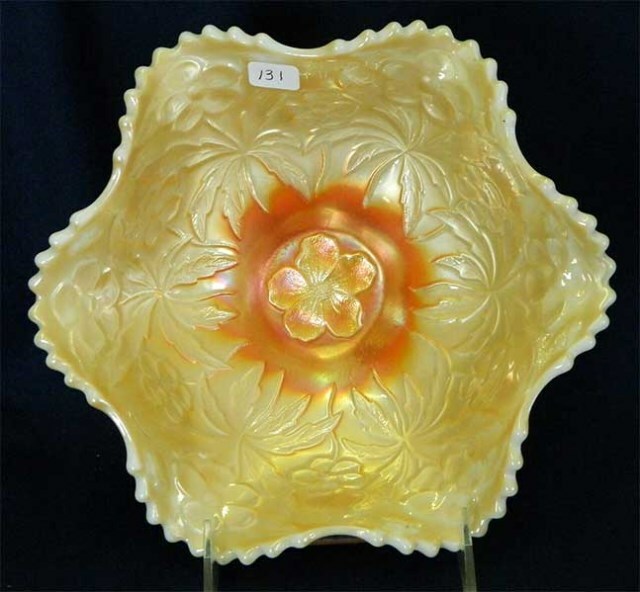 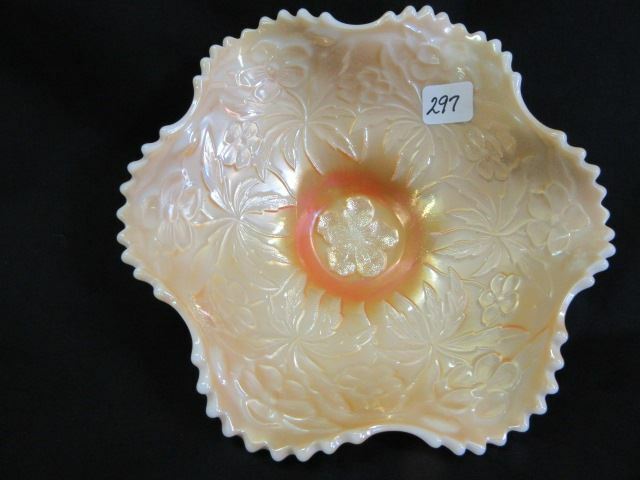 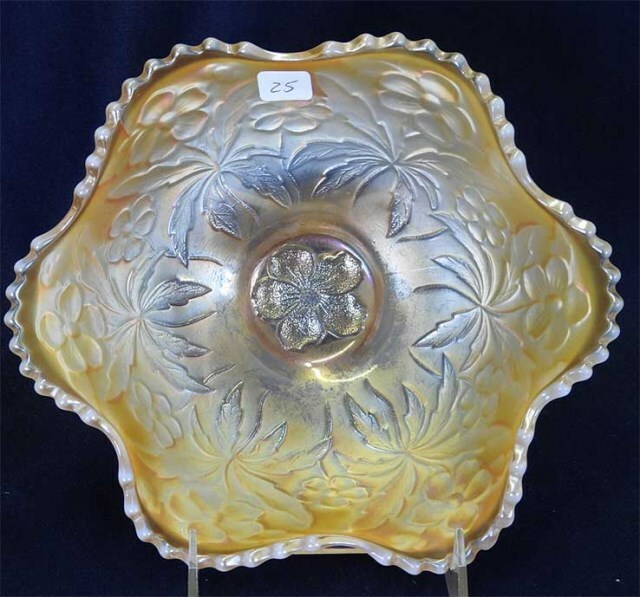 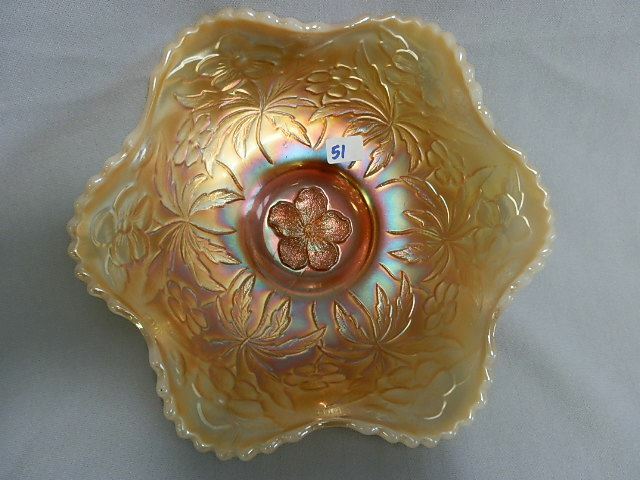 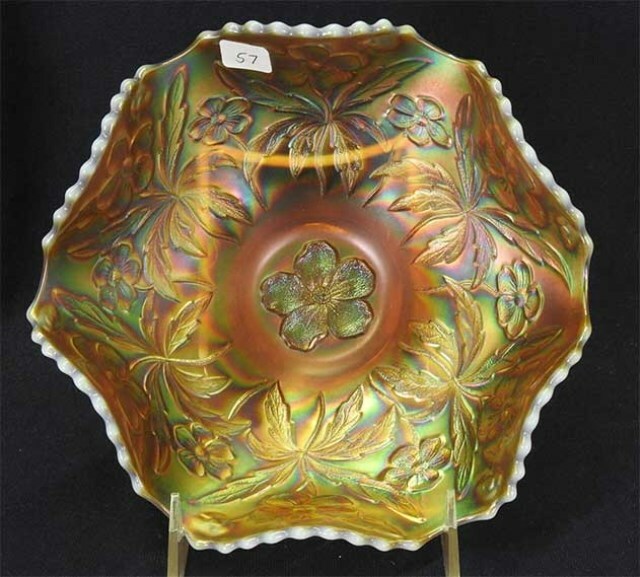 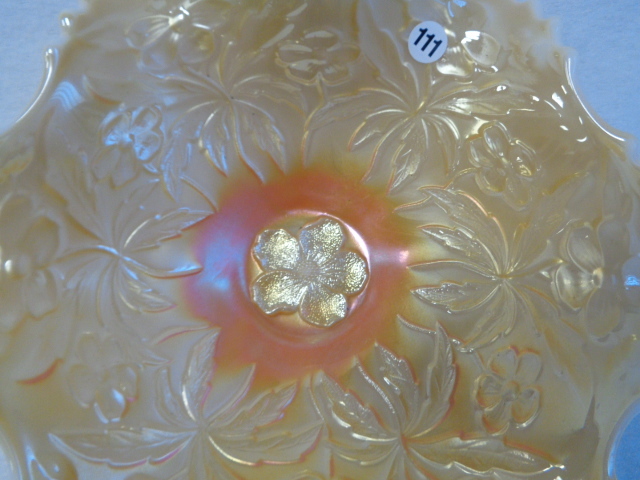 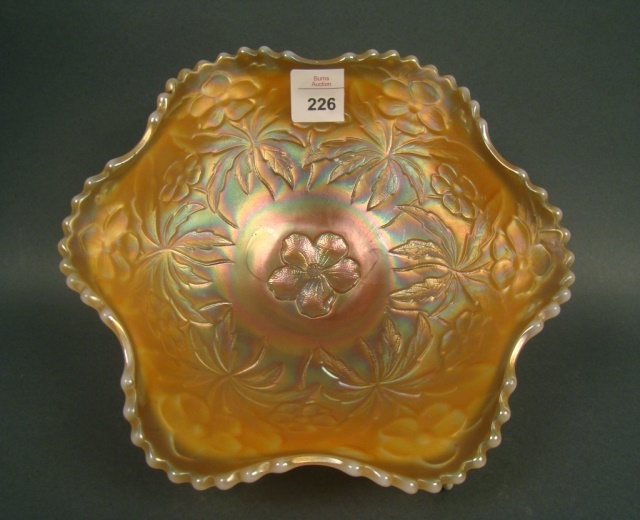 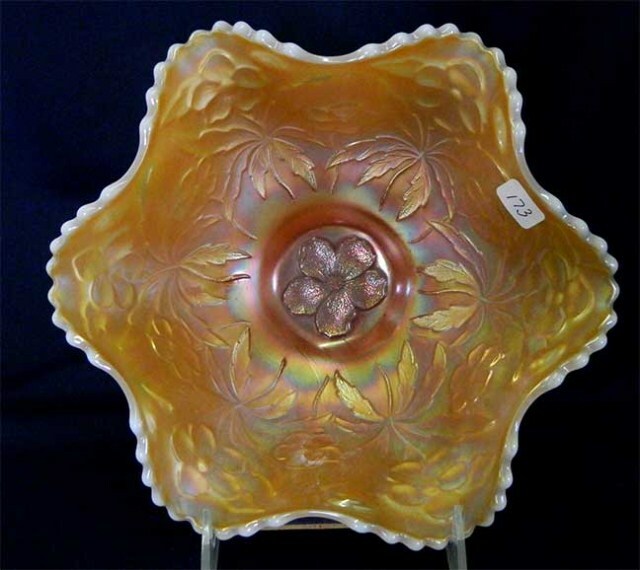 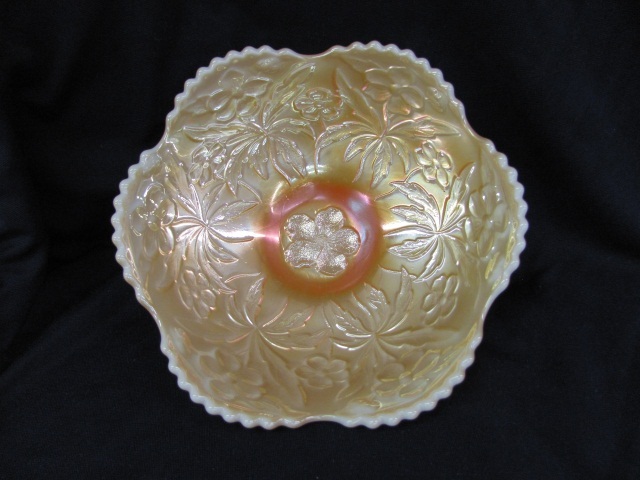 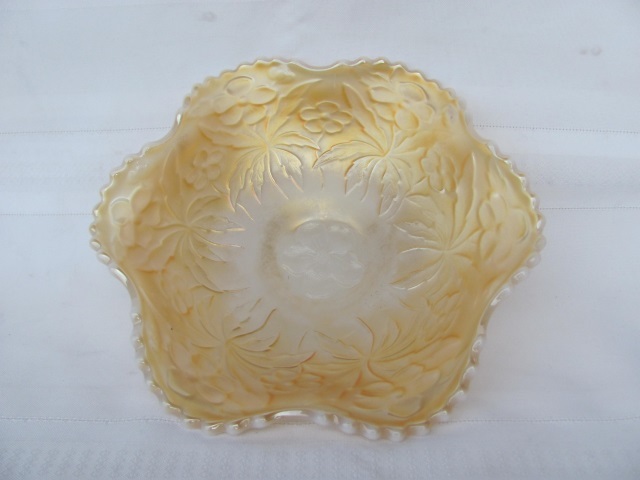 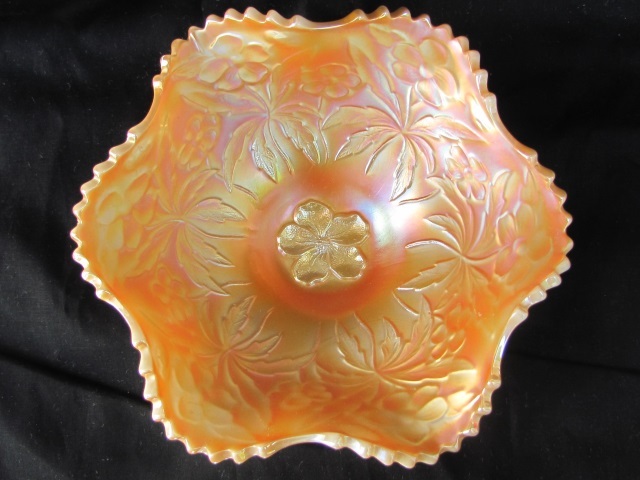 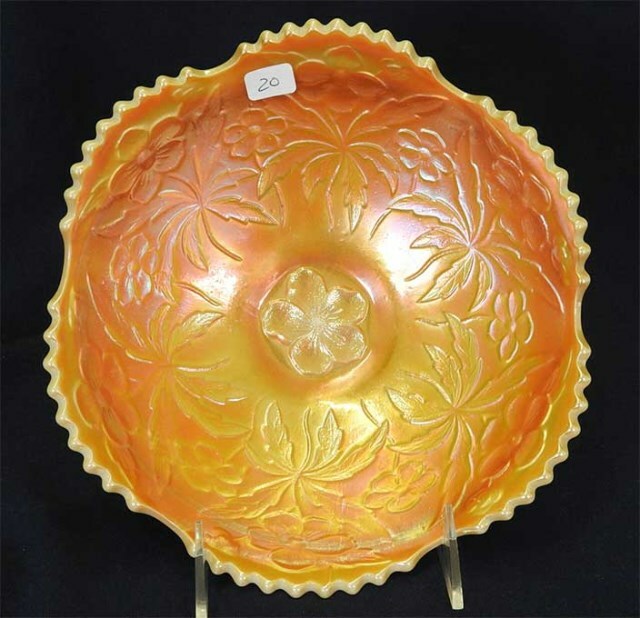 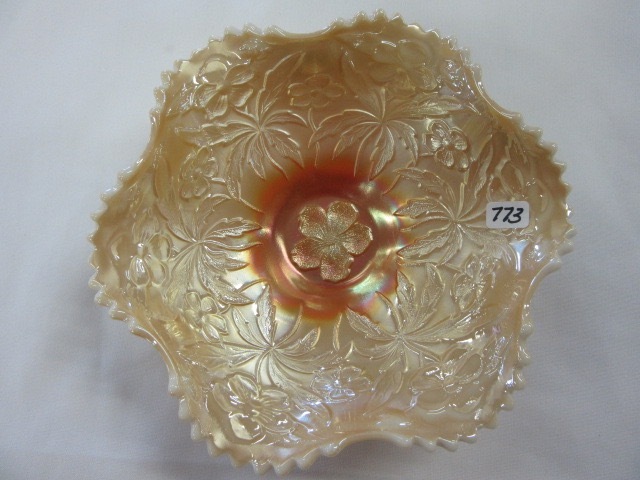 Most bowls are ruffled, a few round or ice cream shaped. 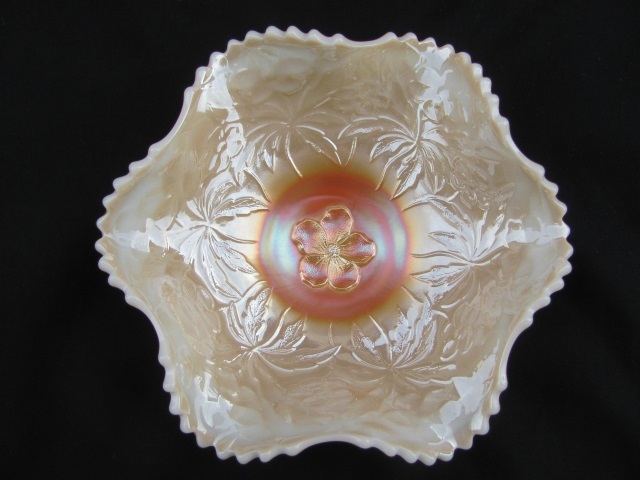 Fenton, who apparently has the mould, has reissued ruffled bowls in purple and red.